Sony Bloggie 3D Camera unveiled at CES is now available for purchase online. Consumer camera introduces 3D technology in recording video and taking pictures to users who wish to enter the 3D world without the need to pocket too much. 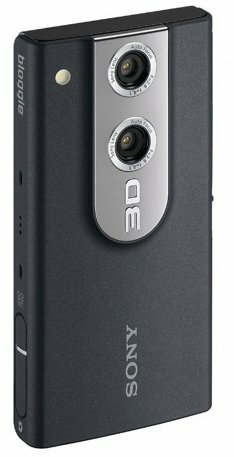 Sony Camera 3D Bloggie the small camcorder can record 3D video in Full HD 1080p resolution and image capture 3D images with a resolution of 5 megapixels. Exmor CMOS sensor, ensuring beautiful pictures even in low light conditions and have the ability to take photos while you’re shooting video at the same time. Sony Bloggie 3D using 2.4-inch screen without the need for 3D glasses so you can preview your work in direct lcd. Sony Bloggie 3D has 8GB of internal storage is sufficient for you to record 4 hours of video and HDMI output lets you share videos and pictures on the big screen. Sony Bloggie 3D is available now at Amazon with a price of $ 249.99.